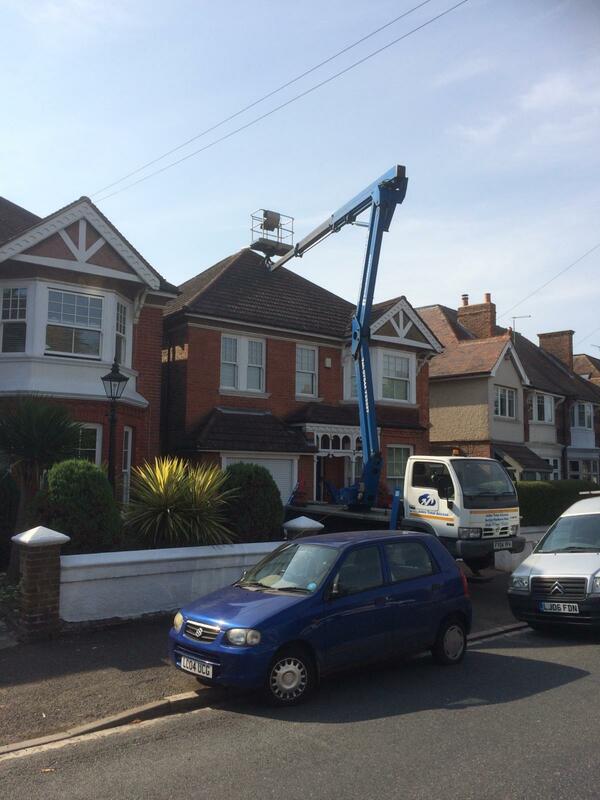 Jules Total Access experienced roofer racked out and repointed chimney and replace 3 roof tiles using the cherry picker for a customer in Bexhill – October 2018. 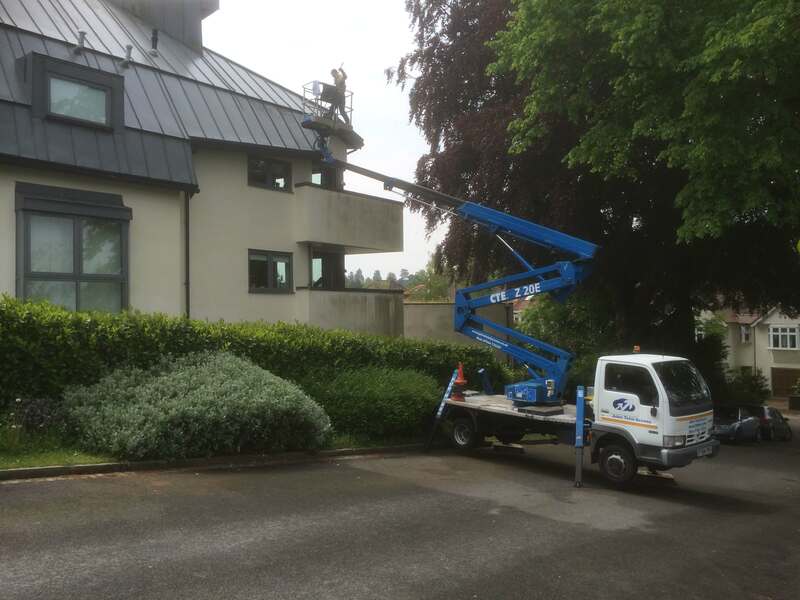 Pine Grove, Crowborough supplied cherry picker to support and help to jet wash roof – September 2018. 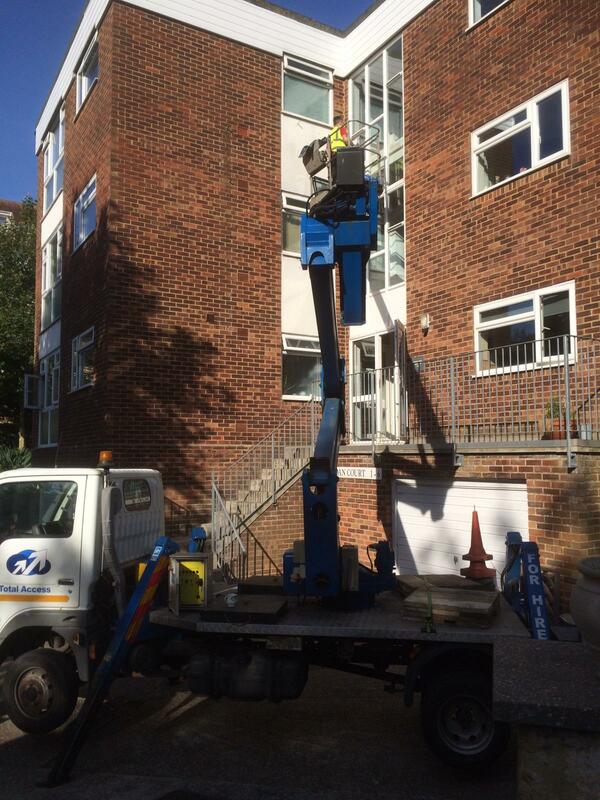 Supplied access in Bexhill for St Leonards windows where they installed two windows – September 2018. 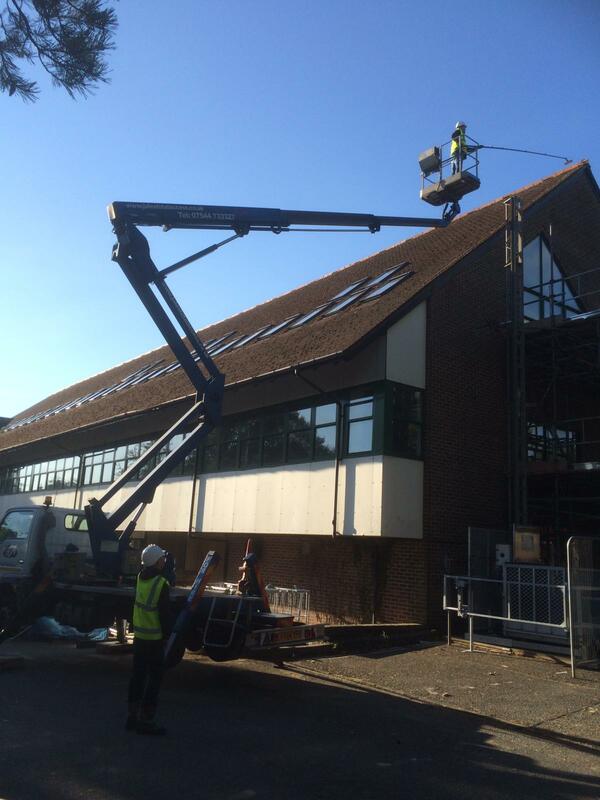 Supplied cherry picker for one of our customers at San-teck pest control Bexhill installing wire netting around solar panels to stop pigeons nesting underneath – August 2018. 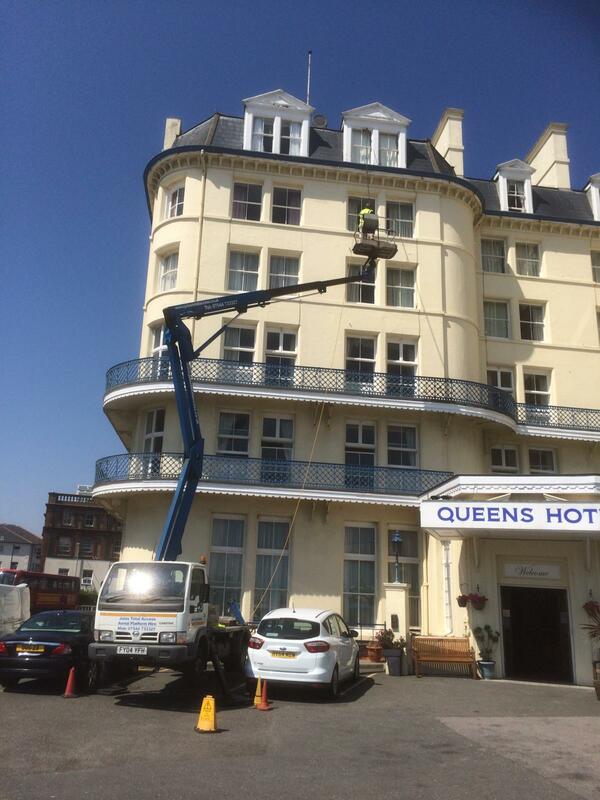 Eastbourne hotel suppling cherry picker for access to clean windows for GW cleaning – July 2018. 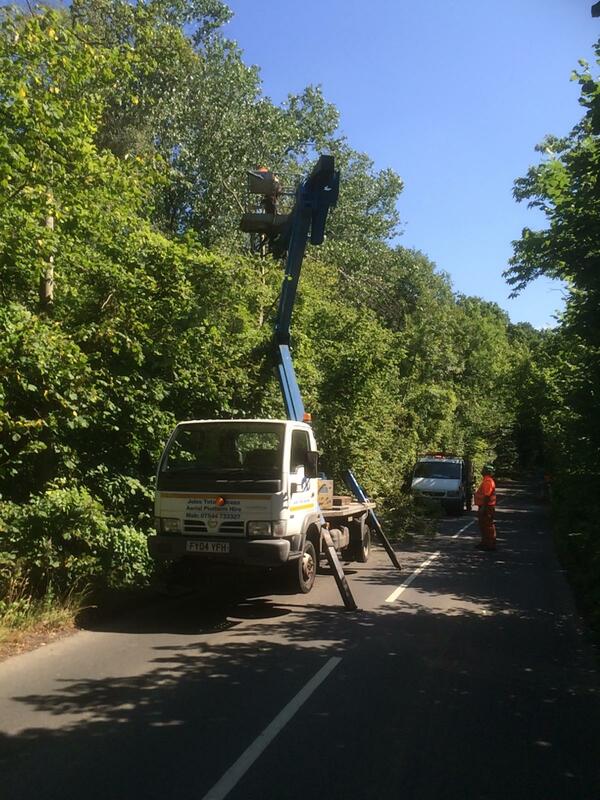 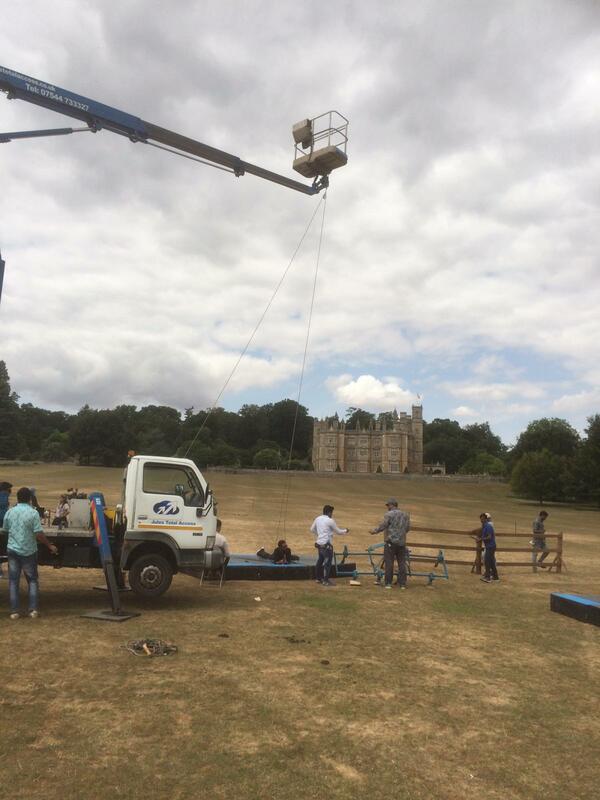 Supplied cherry picker to support stuntmen on a Bollywood film set for Apple Mango Pictures ltd at Englefield house in reading – July 2018. 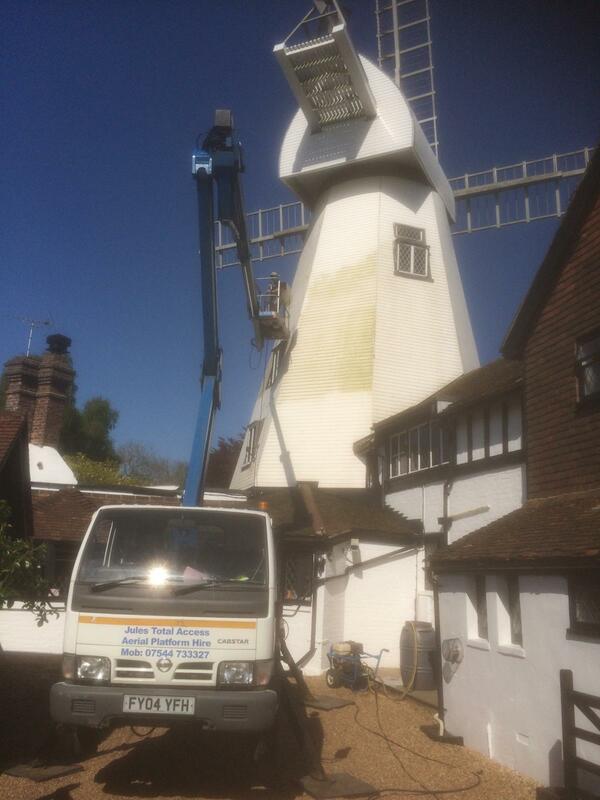 We cleaned off the roof and re-painted all the render on the house. 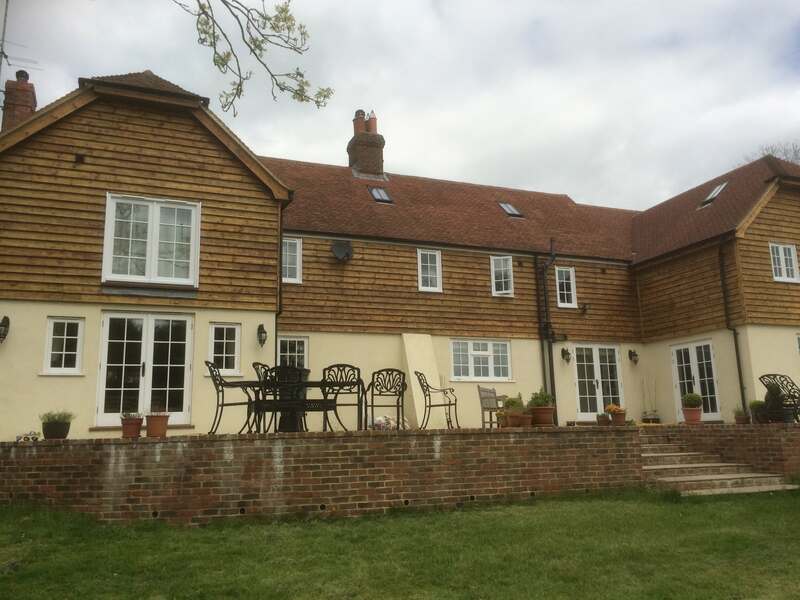 On this job we sanded all the boards and re-stained all the boarding on the front of the house. 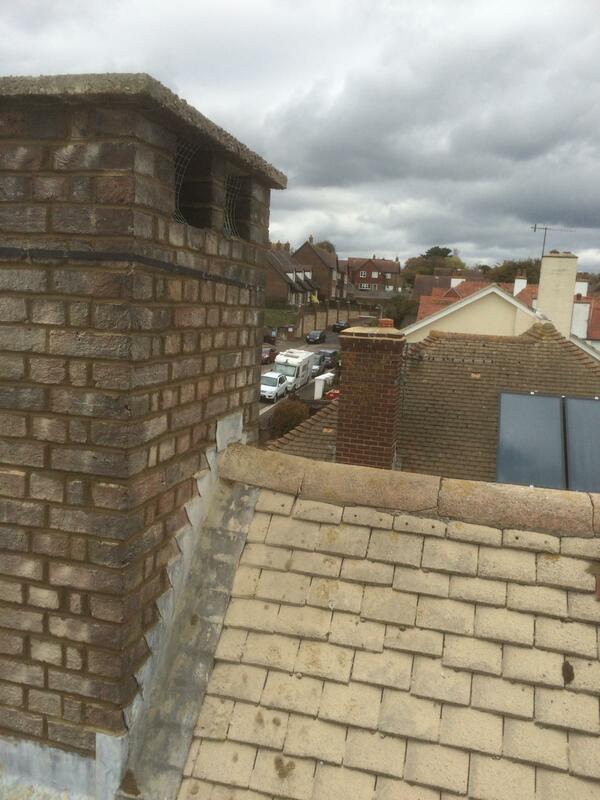 The client was really pleased with job.